What's up? 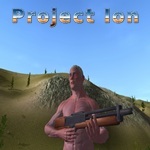 Feel free to talk and share everything about Project Ion, yourself or anything in general that suites this category. zydu wrote: Welcome to the game. I suggest using 'Community Introduction' section of the forum. Loving the game and community so far, so thank you And I will limit my off-topic comments best I can. zydu wrote: I do not know which part of the world you come from but last time I checked, using someones lack of knowledge or experience for personal gain, hurting that someone in the process was considered amoral pretty much across the globe. Long ago, a man receives an unexpected visitor to his home. It is a weary traveller pleading for food and board. The host kindly invites the man to stay "for as long as he needs" and feeds him well. Some time passes and the traveller says he is refreshed now and ready to move on, expresses some gratitude, and is soon over the horizon. Later the same day, local police arrive at the kind host's door. They have with them this familiar traveller and his hands are bound.. he is only staring down at his feet. One of the officers says, "You'll be glad to know we grabbed this guy just outside of town.. he admitted to taking these silver items from your home." The kind host is silent for a moment and then replies "No no no... you must be mistaken... these items were given as a gift". The traveller is then released and the officers apologize to both men and leave. The traveller never looks up to the host's eyes but mutters a tearful "thank you" and dashes off. The traveller never steals again and later saves a child from an approaching carriage in the streets. GABI Farouk wrote: theres only Angels here??? Last edited by mike84 on Wed May 30, 2018 9:22 am, edited 1 time in total. I am sorry guys. but I have to be on the side of gabi for this one. He did nothing wrong on the economical point of view. He offered 1000 and it got accepted. The seller should have enquired around to see how much that was worth. You guys cant say gabi should have said that this is really a good item and offer the value everyone thinks it is valued at. A buyer function is to buy at the lowest and a seller is to bargain for higher prices. If we speak in terms of moral point of view than it is a different matter but nothing to do with calling someone a scammer. lossehelin wrote: I am sorry guys. but I have to be on the side of gabi for this one. He did nothing wrong on the economical point of view. Last edited by mike84 on Wed May 30, 2018 5:34 pm, edited 1 time in total. now, publishing public details like this without consent is actually an offense and punished by law, unlike what you are actually complaining about, which is not a crime... i would advise you to edit your post. lossehelin wrote: now, publishing public details like this without consent is actually an offense and punished by law, unlike what you are actually complaining about, which is not a crime... i would advise you to edit your post. Last edited by mike84 on Thu May 31, 2018 4:20 pm, edited 1 time in total. All trades in-game require both parties to accept. So, if a seller accepts an offer from a buyer, which turns out to be less than optimal, this doesn't make the buyer a scammer. And lashing out at us because you got blocked for making threats doesn't help your case while we're still deciding whether or not to keep this a temporary ban. We love a good conspiracy theory, but I highly doubt Entropia would ban someone for a trade agreement like i've mentioned above. And Gabi doesn't need to be a GM to report threats made to him which include his personal information (like the info you posted on the forum before your common sense kicked in). bro, i dont think you have a case to keep this up. Last edited by Jason Slayer JJ on Tue Jun 05, 2018 12:38 am, edited 1 time in total. When all of this happened a few weeks back Jelle, Magic Thief said to me "You should be shooted irl" Are you gonna ban him for this? Another alpha member Kyngs made in real life threats to Raj, saying he's gonna get IP's and address's and send bombs around, are you gonna ban him for that? SnelleEddie wrote: All trades in-game require both parties to accept. So, if a seller accepts an offer from a buyer, which turns out to be less than optimal, this doesn't make the buyer a scammer. And lashing out at us because you got blocked for making threats doesn't help your case while we're still deciding whether or not to keep this a temporary ban. so i ask you now as jason says can i play the game or not and act fair for all ? "Don't worry, be f#c#! @g sh*t.. f*c@ co!k su@!e#.. happy"
Hi mike84, i quoted that because it was referring to the questions i asked. In my opinion if you have publicly disclosed personal information about anyone then that is a permanent ban, the threats and lashing out at the developers are irrelevant.